Bairin Park is a famous spot for its 1,300 blossoming plum trees of some fifty different species. It was originally a private estate which was later endowed to Gifu City and expanded to its present function as a public park. Early flowering comes in mid-January; full blossoms come around early March. You can enjoy varieties of plum blossoms until late March. 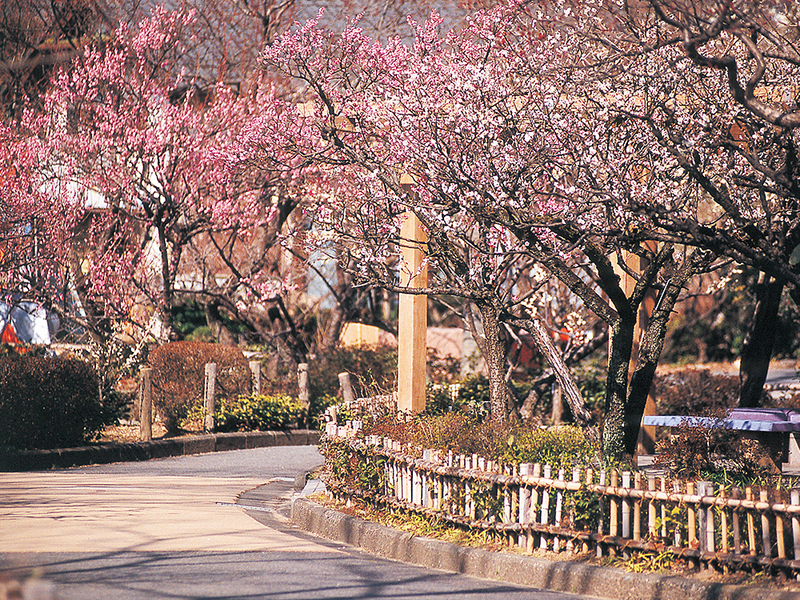 The Bairin Plum Festival is held in and around Bairin Park, a famous spot for plum blossoms, in early March each year. During the festival, various events such as photography and concerts are held in the park in conjunction with special services sponsored by neighboring stores and a tea ceremonｙ for citizens. At Bairin Park ... Photography event (Sunday) , Koto (Japanese harp) concert, Plum Bonsai display, etc. At Shopping Streets ... Free amazake (sweet drink made from fermented rice) and plum juice , stands, etc. Gifu Bus bound for "Seki Higashi-yama"
Get off and walk 3 minutes.